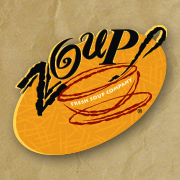 Since opening its very first restaurant in Southfield in 1998, Zoup! has grown to almost 100 locations and continues to innovate its menu of award-winning soups and made-to-order salads and sandwiches. 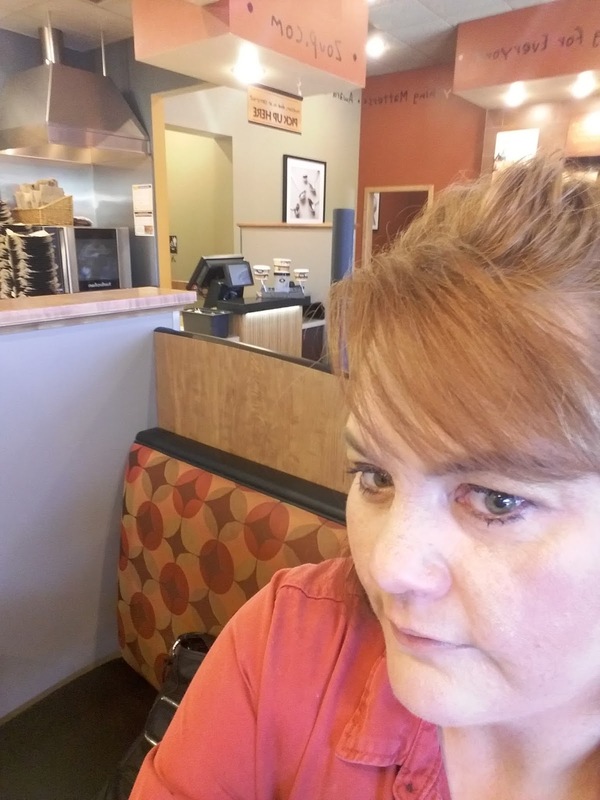 I don't mind eating there any time of year but I eat at Zoup! more often during the Fall and Winter seasons. There's a Zoup! location in the town where I reside, and I ate there just last week with Jason. The owners of the local franchise are super friendly, the place is always clean, and the food is delicious. Zoup! 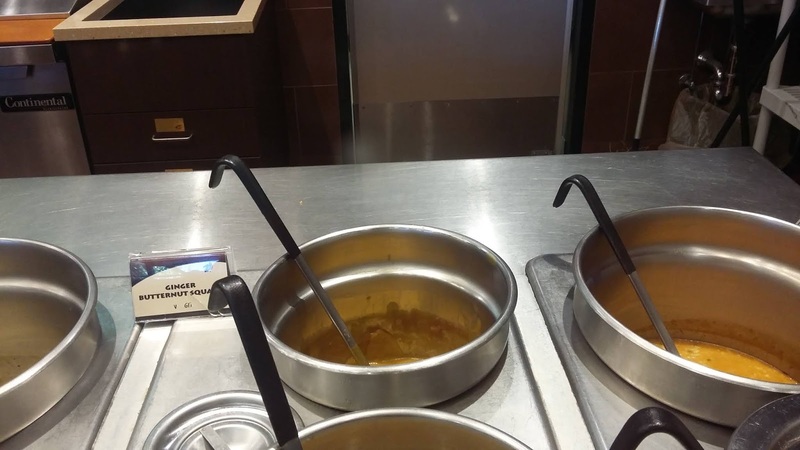 gives consumers the opportunity to try samples of their soups before purchasing, so people can decide what suits their palate. I have a few of my favorites but like to try new flavors when they become available. When Jason and I at at Zoup! the other day, we both went for a bowl of Brewhouse Cheddar Soup. It is a creamy soup with mellow cheddar, English pale ale, carrots, celery, onions, garlic, sea salt and black pepper. It was flavorsome and filling. For my sandwich, I ordered the Chicken Toscana. The stone-baked ciabatta sandwich included Povolone, red peppers, marinated onions, and basil mayo. Although I haven't tried one yet, Seasoned Bread Boules have also returned. 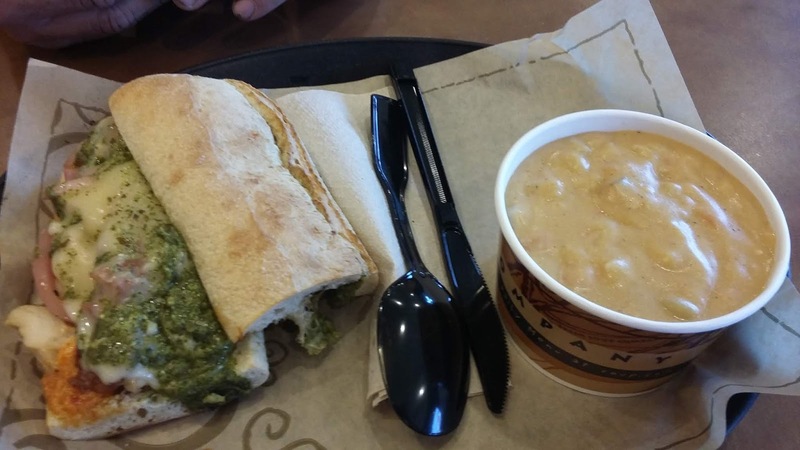 Rather than eat your soup out of a cup, you can opt to purchase it in one of the Seasoned Bread Boules. I received gift cards to review eatery. The opinions within this post are of my own and I was not influenced in any way. Please do your own research before purchasing products or using services. Your opinions and results may differ. That looks like a really nice place! I don't think I'm one for "bread boules," but I'm sure there are a lot of great sandwiches there! 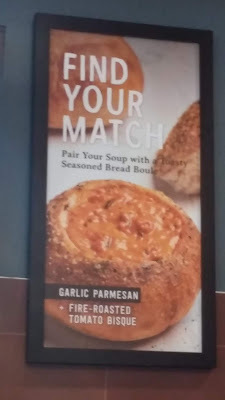 We don't have a Zoup near us but I hope that changes soon because it looks great!